Keep your business save & damage-free with our security & graffiti films. Go a step further to protect your New York home or business with our selection of security and graffiti window film. These are both excellent solutions for dealing with vandalism, thieves, and damage. Security films are expertly designed to hold together shards of glass should your window ever break, while graffiti window films are easy to remove if they are vandalized. Whichever window film you decide to choose, you can trust that the integrity of your New York building will be sheltered from damage. Our products are designed to keep your home or commercial building’s windows looking beautiful while keeping them free from harm. When you have these products installed by Solar Solutions, you’re giving your property that extra protection it needs so you can have peace of mind. In addition, your family members or employees will also appreciate the window film you install in your New York building. 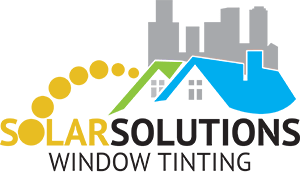 Save your windows today by choosing high quality products from Solar Solutions. Graffiti film: effective defense against vandalism. Our New York protective security/ graffiti window film is durable, optically clear and removable that acts as a barrier between vandals and the surfaces they cover, including interior and exterior glass, mirrors and other non-porous surfaces like stainless steel and marble. The unnoticeable film protects surfaces from paint, key scratches, markers and even acid etching. When vandalized, the film is easily removed and replaced at a fraction of the cost of purchasing new glass. Protect your public surfaces from deliberate and unintentional damage with graffiti film. You won’t have to deal with permanent, unsightly markings when you choose graffiti window film from Solar Solutions of New York. If you’re running a business, protecting your windows with graffiti film will give you a more professional appearance while reducing property damage. Meanwhile, selecting graffiti window film for your NYC home will make sure that it continues to look beautiful. Defend your home or business with security window film. We are expert installers of New York security window film, which is a protective glazing product that is retrofitted on the inside of the glass for controlling glass failure caused by bomb blasts, windstorm, earthquakes, spontaneous glass failure and forced entry. When shattered, glass pieces become airborne and cause injury, property damage and fatalities. By applying 3m security film, you can drastically reduce flying glass fragments by holding the glass firmly intact. We offer security window film for windows, as well as glass doors, in New York. In addition, security film offers protection against vandalism and helps defeat thieves who want a quick entrance and exit through glass doors and windows. This film holds broken glass together after breaking, making it almost impossible for vandals to gain access. Security tints have been recommended by Consumer Reports.org as a way to help keep your home safe. Read recommendations here. For more information on the cost of security films for windows and glass doors, call for a free estimate. We also offer commercial window tints and decorative tints.